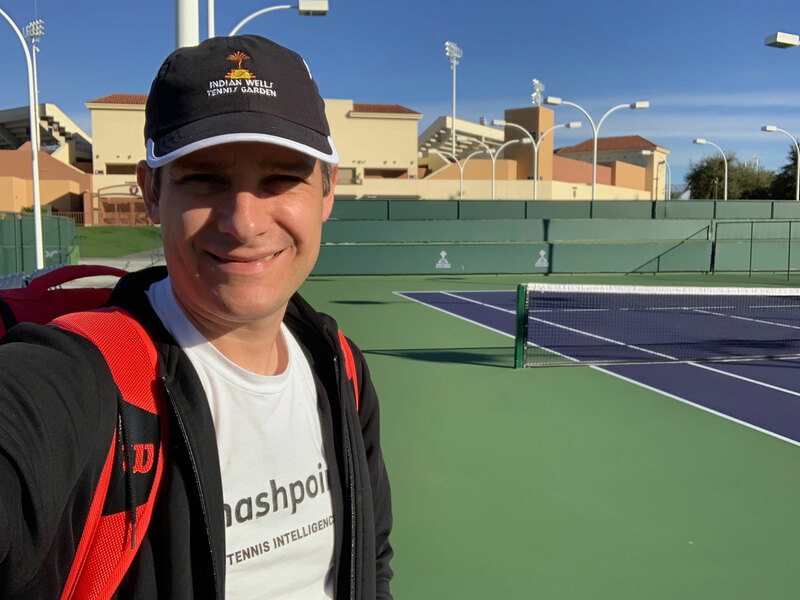 No Instragram filters needed for this gorgeous tennis facility in the California desert. 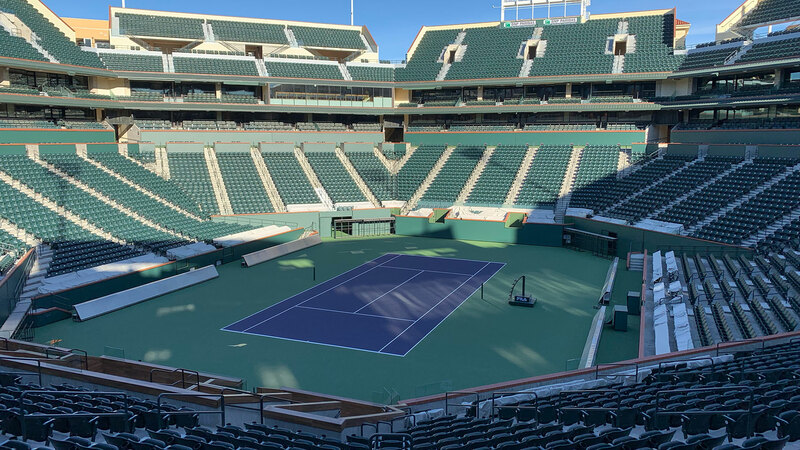 The Indian Wells Tennis Center is stunning. No wonder the pros love it! I had an awesome hitting session with Vaclav Burger on practice court #8. 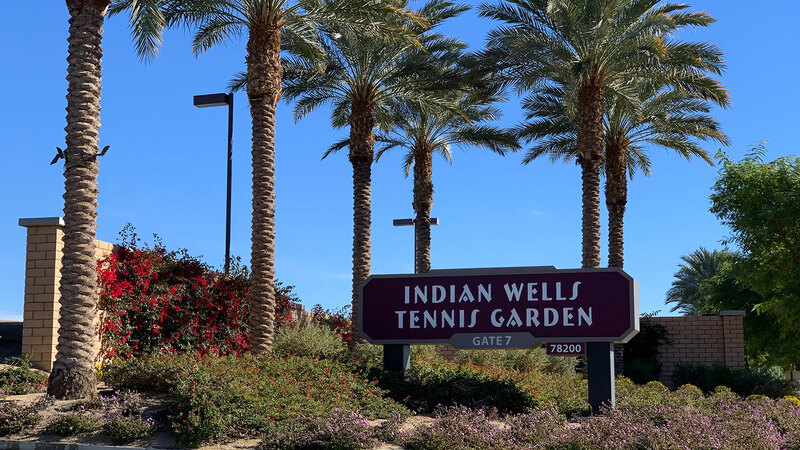 Indian Wells is the largest international tennis tournament outside of the four Grand Slams. 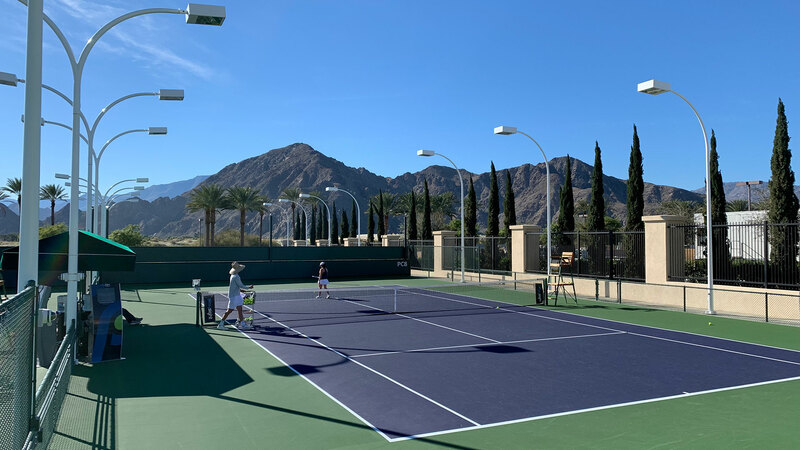 Featuring 29 hard courts, a member lounge, and both a fitness and locker room for members and guests. 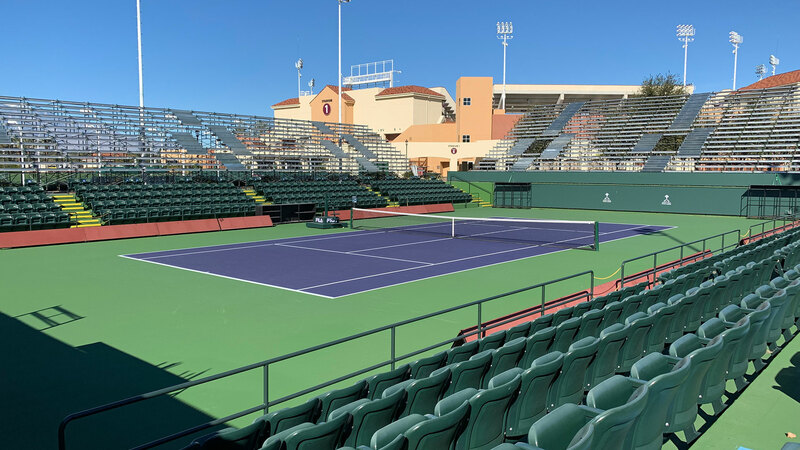 IWTG is also hosting the Big West Conference Championships, Golden State Athletic Conference Championships, World TeamTennis National Championships, and USTA National Championships.